. don't remember what day of the week it was, but I know it was a C-Day in our high school calendar, and that meant I had Psychology class first period. Just about a half hour before class started, I threw on a white sweatshirt with blue and purple zig-zaggy lines across it. 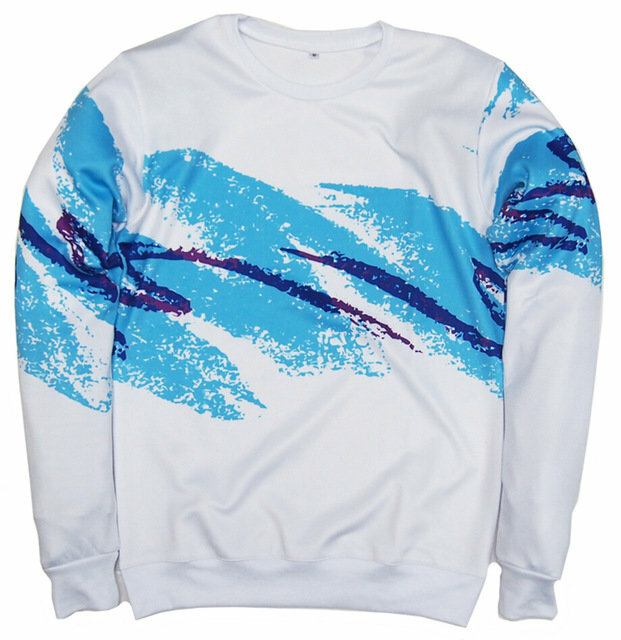 It looked identical to those Solo Jazz cups from the mid-90s. The shirt was symbolic of a newer genre of music that had yet to be popularized in the mainstream. Vaporwave was a hit in certain realms of the internet, though. Vaporwave is a genre of music popularized on the internet between 2010 and late 2016. It is focused on making the listener feel nostalgic for a time in which they haven't lived by the display of glitchy clips and images from or inspired by the 80s and early 90s to a tune of edited elevator music and pop songs from the 80s. I didn’t expect anyone to link my shirt to Vaporwave. I expected comments like, “You look like a cup” or “Huh, that’s interesting.” He knew though. I sat through the hour long psychology class that always ended early. But of course, because this was high school, we had to stay in the classroom until the bell rang. Bored, I sat in my seat and looked through my phone. But he came to talk to me. The first question he ever asked me was, "You like Vaporwave?" My eyes probably lit up enough to make the fluorescent lights in the ceiling jealous. Of course, I responded positively. He introduced himself as Jake, and I told him my name as the bell rang and he walked me to my next class. Junior prom was just around the corner in May. We both already had dates before we had even met in February, so we didn't go together The night had finally come. While I was getting my hair done, Jake texted me and asked if I had plans for after prom. I didn't, and he asked if I wanted to do something with him. Of course, I agreed. Jake and I spent the entire night together. We danced and had a good time. When it was time to go, we drove to an empty park and confessed how we felt about one another and we shared our first kiss. Never in my life had I felt butterflies like I did that night. Prom was held on a Friday. The following Monday, Jake asked me to come over after school. We watched the newest episode of the anime we were watching. When the 25 minute episode came to a close, he turned to me and said, "Can I ask you something?" I nodded. "Will you be my girlfriend?" And the rest is history. Within weeks we were inseparable best friends, closer than we had ever been. Within three months we were saying "I love you." It's been two years now. Jake and I do everything together. We share the same hobbies and we push each other to be the best we can. We have plans for the future and often get mistaken as twins. But you know what they say. The longer you're with someone, the more you start to look alike. If you're going to fall in love with anyone, make it your best friend. Everything is better when you have them by your side. Boring errands become enjoyable because you know they'll tag along with you. Cooking and trying new recipes is one of the best parts, because you'll get to see their reaction when they absolutely love what you made. Life is better with your best friend and partner combined into one super-being. I look forward to everyday because I know I'll get to either spend time with him or enjoy the conversations and memes we send each other. And I owe it all to Vaporwave.